Meet Jill. She’s a public relations consultant to international artists. A year ago she hired me to redesign her website. She wanted a professional web presence to replace the tired old site that kept letting her down. For one thing, it wasn’t responsive, meaning, navigating the site on a smart phone wasn’t easy which was a huge problem given her clients were always on-the-go. The site also looked unprofessional which was definitely not the impression she wanted to make on the better clients she was trying to attract. This was unfortunate because Jill is AMAZING at what she does. She lives and breathes the arts, and works tirelessly to develop relationships with key media outlets to get her clients the BEST media exposure. I don’t judge Jill for having an amateurish website when she first came to me. It’s actually pretty common in the beginning stages of a business when it makes more sense to focus your energy on getting clients and establishing the business than it does to put time and effort into a website. And that’s exactly what she did. By the time Jill came to me ready to upgrade her website, she felt good about where she’d taken her business so far. It was viable, she had a good client base and a solid system for bringing in business. She also felt poised to grow her business to the next level and sign up even bigger names in the arts. And she knew she had to upgrade her brand, including her website, to make a better impression on new clients and their agents. Clients have lots of reasons why they want to redesign their website. For Jill, it was mostly because she was succeeding with her business and the old website became a source of embarrassment. I’ve heard some small business owners call this website shame. 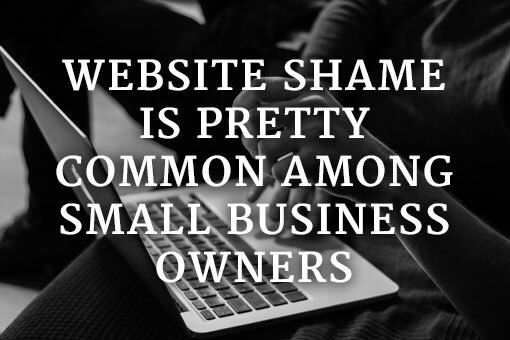 This is what happens when a business owner is delivering professional, high-quality services to their clients but is reluctant to give out her website address to new prospects because she knows it doesn’t reflect reality. Are You Procrastinating Your Web Redesign? You’re not really sure what next steps to take. You just haven’t made it a priority. Some of you may be thinking you can just bang one out yourself when you have time. You know, DIY style. Yup, Jill started on the DIY route, too. She stopped and started a few times but kept getting hung up. First it was fussing over the theme. Did she pick the right one? And then she couldn’t figure out how to get the main header image to fit properly on the website. What was she doing wrong? 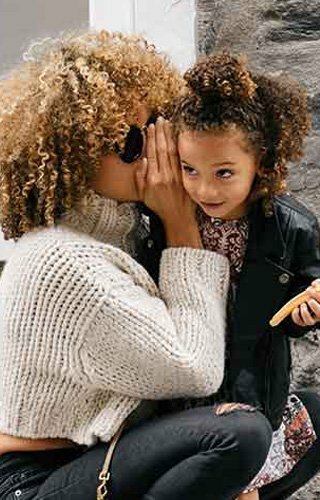 Let me share a couple of little secrets with you. Secret #1. If you’re not a web designer, it’s not going to be easy to design a website for your business. Secret #2. The most common rookie mistake among both DIYers and newbie web designers is diving straight into design. First steps should include making a plan and sketching ideas on paper. Really. After working with lots of clients on their website redesigns, I’ve come up with some solid and fun systems to get clarity during an initial discovery session. I’d love to share some questions I ask my clients as part of this work together because they help us get great results. You can use these same questions when preparing for your own web redesign whether you’re planning to DIY or hire a pro. When do you want to launch? Are there any events or activities tied to the launch date? How long do you expect the project to take from beginning to launch? Is there enough time to backtrack this amount of time from the target launch date? Are you expecting this to be a high traffic site? Moderate traffic? Low? Will you be selling things? Running lots of videos? Offering downloads? Animations? Collecting file uploads? Who do you most want to reach? What problem is she having that your service can solve? What questions does she have about you? What you do? Who is she? What are her concerns? What lights her up? What are your ideal clients specific traits? How can you attract this person? In what stage of the buying process is she? What are the most important things your visitors want to accomplish on your website? See if you’re a credible business? Learn more about your offer? Find out how to get in touch with you? Buy something? Apply for a job? Watch a how to video? This is arguably the most overlooked step in the web design process. It’s also one of the most important. What’s the most important action you want site visitors to take? Collect their contact information for your mailing list? Get in touch with you? Buy something? What can you offer to encourage visitors to take action, bringing them a step closer to converting? To getting in touch? To working with you? What’s on your old website that can be used on the new one? What do you want to get rid of? What concepts do you like but need to be upgraded? What brand new content needs to be created? Are interactive features working the way they should or is there interactivity missing? Will you DIY your website and commit to learning everything you need to to produce the upgraded website your growing business deserves? Or does it make more sense to stay focused on your genius work and hire a professional designer to produce the site? Do you want to be your own project manager, or would you rather the designer oversee the project, hiring other creative talent like copywriters and photographers, etc.? Has your business mission changed? Have you rebranded or need to? Have your services changed? Has your ideal client changed? 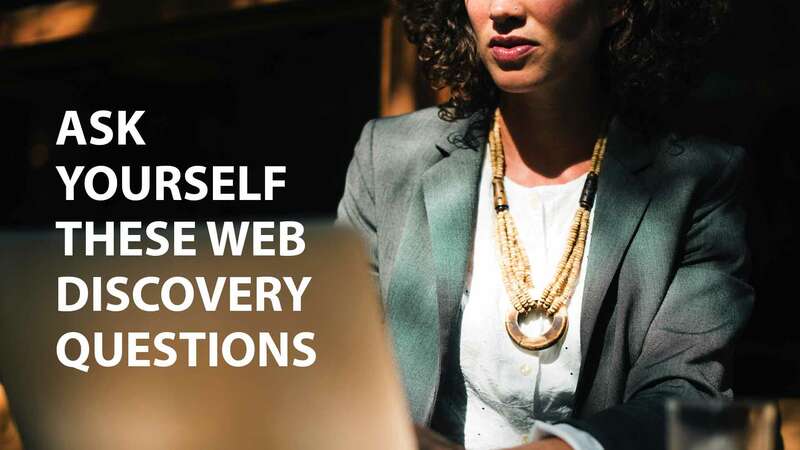 If you’re feeling a little or a lot embarrassed about your website, you can start making progress on your redesign now just by answering the questions above. It’ll help you get clear on your why, what, who, when and how. And that’s a great place to be before taking any next steps, including DIYing your website or interviewing possible web designers to hire. Please share in the comments any breakthroughs or ideas you have that helped you move forward with your website redesign project.